I’ve just gotten started with a Flashforge Creator Pro and gloriously failed on my first PLA test models. First, I couldn’t get PLA to stick to the blue bed causing an ugly pile up. I’m now overriding the baseplate temperature setting using the Flashforge preferences. Next, testing with 60°C because that’s the Ultimaker2 glass plate default and PLA filament sticks well there. Still, the 1st layer is a little shaky. It does stick in most places but often has irregularities and later on during the print the whole base warps upwards (see bottom right below). I’ve read here on 3DHubs that some of you pros print with the bed at room temperature but I was under the impression that a heated bed increases adhesion, doesn’t it? What else can I do to finally print properly on my Flashforge? Spray? Glue stick? Lower bed temperature? Switch to glass (where did you buy your glass plates)? My Ultimaker2 has great adhesion without any additional adhesives. Is that the glass plate instead of the blue custom material of the Flashforge? I have a FFPro. I use a mirror (5 bucks cut at local glass cutting shop). You don’t need expensive borosilicate glass. I also use hairspray: http://www.walmart.ca/en/ip/garnier-fructis-style-utral-strong-hold-flex-ultimate-control-spray-natural-bamboo-extract/6000062243949 . I use the same setup for ABS and PLA have had no issues with lifting or warp with my FFPro out of box. I didn’t do the fan mod, b/c the new FFpros already ship with an active cooling system fan. The only times I had issues with PLA not sticking to the blue plate (which is made of PET I think) was when 1. it was totally worn out, after I did TONS of ABS prints. Removing those prints over and over again wore down the structure of the blue material and finally it was smooth and shiny instead of its regular dull look. 2. make sure you level your build plate before every print! 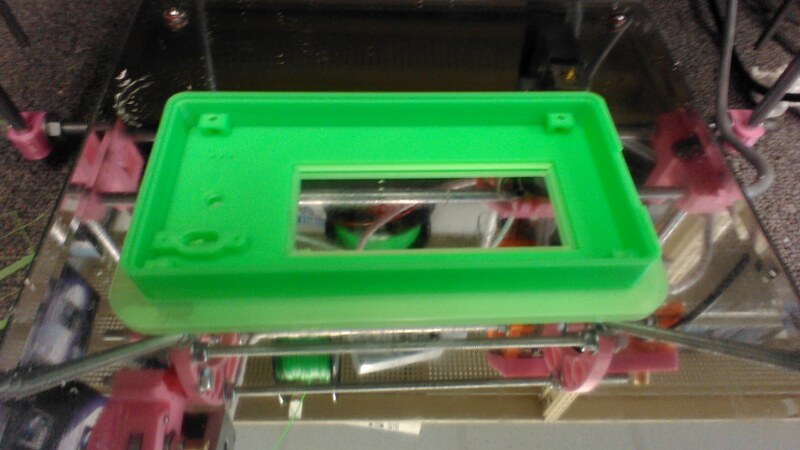 You can absolutely have adhesion issues if your build plate is not level. See if makerware has a way to decrease the thickness of the first print layer - say to 80% - that will also help with adhesion. And then of course make sure your layer thickness is less than 0.27 mm if you go over 0.27 mm you have to increase the extrusion multiplier. Upon my print plate on an Ormerod 2 ; I apply a thin layer of PVA glue on a glass plate (similar to the liquid paint that you used in art) when the bed is cold, heat up the bed to 60 degrees C allow the glue to dry and become clear. At the end of print allow the bed to cool down and off pops the print. Another reason for not getting the first layer down is incorrect z-height and the print bed not being level. Correct/good Z height is when you have a slight grab on a piece of trapped paper. Use skirt around the print to prime the nozzle and see if it’s going to stick, if not stop the print. So I would home Z with a bit of paper between nozzle and print bed and hopefully get a slight grab, if not lower the z-height. Settings we have found with PLA, clean bed with ISO prop. 230 deg nozzle. 70 deg bed. Set nozzle gap to copier paper, just pinch. Keep ALL cold draughts away, try to keep printer in warm room. I’ve never worked with the blue pads that come with the FFCP now. Mine came with Kapton tape and I could never get the PLA to stick so I just ripped it off and used painters tape and a glue stick. Worked great. BUT I saw the same issue with warping and the reason for that is that the aluminium plate wraps some when heated, and overtime it seems only to get worse. I eventually when with a quarter inch glass plate. It is nice and flat and doesn’t warp; it is easy to prep and clean (I still use a glue stick over hairspray, I get a better result); I can also remove is and work my prints off the plate with more room and less worry about damaging my printer. Keep in mind that with a glass bed you may need to run your heat on the bed a bit higher than normal. The glass bed is the single best upgrade I’ve made to my printer, an active cooling duct and fan is a close second. Also if you are using ReplicatorG get Slic3r. People like Simplify3d also but I find that it’s detail resolution isn’t as good as Slic3r’s and that aside for the integrated GPX in Simplify3D I find Slic3r easier and faster to use. I tried various tapes on my build plate - painters tape, kapton tape etc. But I found the best for me was to print directly on the glass plate with a surface coating of JUICE. If printing with PLA, then my JUICE is PVA glue and water 1:6 . If printing with ABS then my juice is ABS filament and acetone 1:10 . There is a new product called 3D-eez which I received yesterday and am now testing - it is from www.3d-eez.com and can do both PLA and ABS. It is sticky when hot and releases when cold - exactly what you want. Thanks for the juicy info. Since I didn’t know what PVA glue is, I looked it up here. Polyvinyl acetate or wood glue. Presumably you make a dilution with water and then use a brush to put it on the baseplate, don’t you? Would be great to find out what your testing with 3D-eez yields. Thanks for the detailed description on how to apply PVA. I will try that. And probably get a glass plate to replace the blue plate that came with the FFCP. The platform is well leveled. So, I suspect that won’t improve my prints. Hi Dhin, thanks a lot for the very detailed recommendations. I wil try that and change to glass plate. I checked the measurements of the blue baseplate on the FFCP: 232x154mm. The glass plate on the UM2 is 4mm thick. The makersome upgrade in your video is 5mm. This video, also from makersome, explains in more detail how to install a glass plate and how to reset the z to the higher baseplate. I’ll get cracking on this. Thanks. My printer came with http://www.buildtak.com/ and I have been very happy with the results so far. I still use rubbing alcohol after every print to remove and finger grease left behind when removing. Others results may vary but I find for some prints it sticks too well and I have to really work to get it off. I am printing without a heated bed and using PLA. 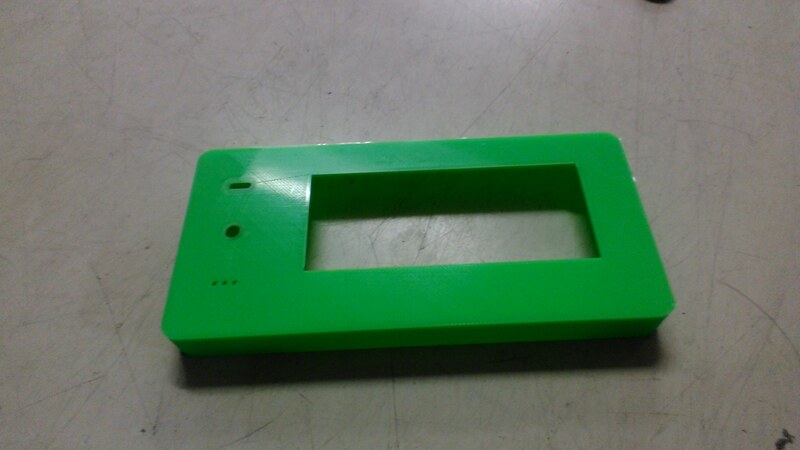 Largest single layer was something like 4"x1.5" rectangle without any issues. Still on my first of 2 sheets of the stuff (200+ hrs). I have test for evey kind of method, including blue tape, PVA glue, hair spary, heated bed, glass bed…all without full satisfaction. But after I start to test and use the “Magic PLA solution” Ifrom www.3d-bottech.com that enable me to have a just right stick during print and release in a second without problem like PVA glue that have too much stickness and will make your print very hard to remove after print, one time, PVA glue stick so hard that rip chips off my glass bed. SO, I no longer use PVA glue stick any more. After I test and use “Magic PLA solution” It work perfect every time for me on glass bed at only 50 deg C. Very happy with this solution since it also enable to create mirror like smooth bottom of the print. Highly recommend for anyone have issue of not stick issue for PLA. Another vote here for: heated bed (60 degree), glass, pva glue (specifically I use “pritt stick all purpose liquid white crafting glue”). Also check temperatures, and cooling - a fan could cause warpage. The plastic needs to come out hot, then be cooled - ie fans should not be pointing at the nozzle or cooling it in any way. You can usually control fan speed with a gcode command, so you can turn it down if its too extreme. I use a 40mm layer fan. Mostly i find that glue and low temperatures stop the warping. Let’s make this easy for everyone - this works for me every single time! Glass bed, 115 - ABS, 60 - PLA, 50 - Nylon and t-glase, and some glue stick! … and a perfectly leveled bed. I haven’t had to use anything else… EVER!!! For glue stick, I had some scotch brand that applies purple but goes clear when dry. Worked like a charm and able to run several prints before having to re-apply. Plus, a wet cloth to the bed and it makes it all new and smooth again. I seriously just load my SD card and start printing, no worrying about if it will stick or warp. I also use UHU brand, but it sticks a bit too much in some cases, making large surface area prints difficult to remove without soaking in water to dissolve the glue. Remember kids, 95% of your adhesion problems are bed leveling issues and first layer height. Spend the most time on this and you will reap the rewards! Don’t assume one leveling pass and you’re good to go. Take your time and keep doing it until it is perfect. Try printing this http://www.thingiverse.com/thing:215386 after leveling and and check the shape of the layer is consistent (and well squished in). Hope my rant helps someone! I have a Ultimaker 2 and a ultimaker 2 extended. On both printers i used a simple hairspray (Gardner Fructis Mega Strong with bamboo extract). I spray it directly on the glass plate with 55°C. This work for PLA and ABS. I never have wraps with this. This also helps it stick to PLA. The glass plate also has to be relatively clean, use alcohol based cleaners! Use 3DLAC. Literally the best thing for platform adhesion, bar none, you will never look back. This spray makes your prints stick so good that you will literally pull off pieces of the glass bed if you try to take it off right away. But 10 minutes in the fridge and it comes off easily. Warping just isn’t an issue for me anymore. Another possibility for a build surface coating is 3D-EEZ, not tried it myself yet.